People of faith don’t deny reality. They choose to see a greater truth behind the immediate truth. Sometimes the most dangerous threat to the truth is not a lie, it’s a lesser truth. Lies are usually easy to spot. Lesser truths are harder because … well … they’re still true. At virtually every moment of our lives, greater truths and lesser truths are battling for our heart. The challenge is that the lesser truth is usually louder, stronger and more urgent. At virtually every moment of our lives, greater truths and lesser truths are battling for our heart. 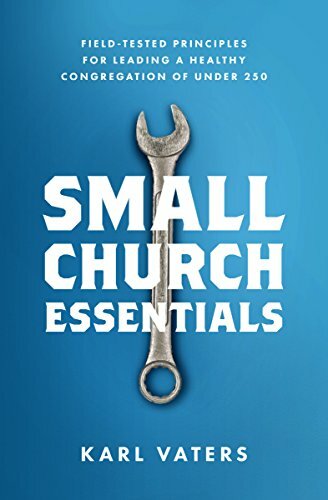 If you, like me, are a small church pastor, greater truths can be especially hard to see because there are fewer layers (usually no layers) between you and the lesser truths. For example, you walk into church on Sunday, feeling great about the day ahead, only to be accosted by an angry church member about a trivial problem, two minutes before the service starts. 1. Live to the obvious, immediate, lesser truth. That a church member is angry at you – and carry that into your message and out to the congregation, in emotion and spirit, if not in words. 2. Live to the greater truth. That God, knowing this church member would be angry at you, gave you a message of hope to share, maybe be as much for you as for the congregation. This is not just wishful thinking, positive affirmation or a mind game. It’s choosing to see a deeper reality. This is especially important for church leaders. How Do We Live to the Greater Ministry Truth? Okay, fine. Living to the greater truth sounds like a good idea. But how does someone actually pull it off in the real world? Usually from the outside in. Here’s an example. For a few moments, I was upset at her. Then I realized she had done me a favor. I could now fix a problem I hadn’t even been aware of. I had a choice. To live to one of two truths. Lesser Truth: Some Sundays don’t go well. Greater Truth: I’m privileged to serve a great God and a great church, including a plain-spoken woman who loved me enough to tell me the truth on the drive home from church, not on the drive to church. (I miss you, Blanche).